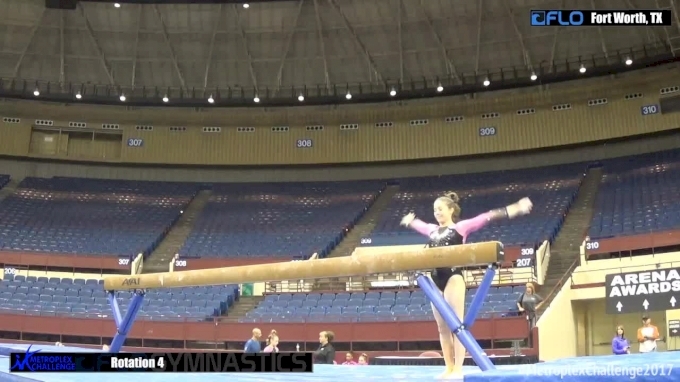 Everything's bigger in Texas, and that includes gymnastics. Known for producing many top JO and elite gymnasts, Texas is one of the top states for gymnastics, so it's no surprise it's home to one of the top club and NCAA meets: the Metroplex Challenge. The 2019 Metroplex Challenge begins Jan. 25 with the NCAA meet happening on Jan. 26. FloGymnastics will be streaming all level 10 sessions and the NCAA meet, featuring No. 1 Oklahoma, No. 7 Denver, No. 15 Missouri and No. 21 Arkansas. Because the Metroplex Challenge is a top club and collegiate competition, some of the NCAA gymnasts competing at the NCAA meet are returning to familiar grounds. Clevenger has yet to compete for the Tigers due to recovering from an injury last season, but she's shined on beam as a club gymnast and could break into the Tigers' beam lineup. Her 9.200 beam routine at the 2017 Metroplex Challenge was good enough for fourth place. With some NCAA polish and attention to detail, Clevenger could be a solid beam worker for Missouri. In her first season as an Arkansas gymnast, Elswick has competed vault twice so far and has done a solid job overall. In her NCAA debut, she earned a 9.8250, and last week she earned a 9.650. Elswick is an excellent vaulter with a 10.0 vault and should be able to earn higher scores as the season progresses. Her 2017 Metroplex Challenge vault is evidence of her ability to vault well, as her Yurchenko 1.5 was high, powerful and got good distance. It earned a 9.850 to win the vault title. As she continues in NCAA gymnastics, Elswick should be able to clean up her vault and be a great vaulter for the Razorbacks. This Pioneer sophomore has already made a name for herself in the Denver record books. She's competed on every event and in the all-around but has made her biggest mark on uneven bars. Last season, she won three bar titles, was second on bars at the Big 12 Championships and the NCAA Minneapolis Regional, and earned a 9.950 to tie for the seventh-highest score in Denver Gymnastics history. So far this season, she's earned a 9.825 and a 9.875 on bars, which are great scores to start the season. Glynn's excellence on bars isn't new to her college gymnastics career. It was clear in her club days as she won the bars title at the 2015 Metroplex Challenge with a 9.425. 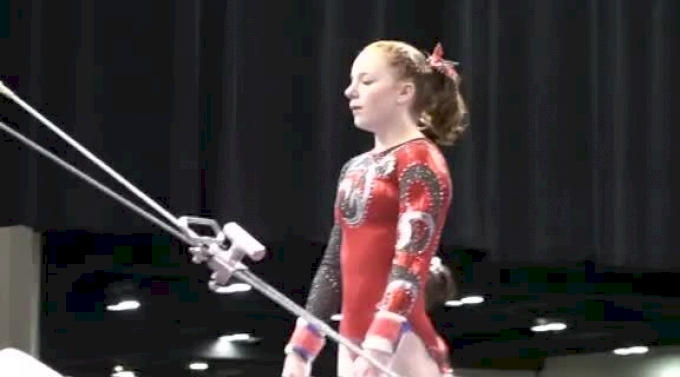 But even though bars was a great event for her as a JO gymnast, Glynn has been able to improve and be better than ever on the event for the Denver Pioneers. Kern is currently a junior at Denver who trains vault, bars and floor. Last season, she was a staple in the Pioneers' bar lineup and a solid backup gymnast on floor. So far this season, Kern has been a good, consistent competitor on bars, earning two 9.850s. In addition, she competed on floor twice and earned a solid 9.800 at the Pioneers' home opener last weekend. As a club gymnast at Southeastern, Kern competed at the Metroplex Challenge a few times. 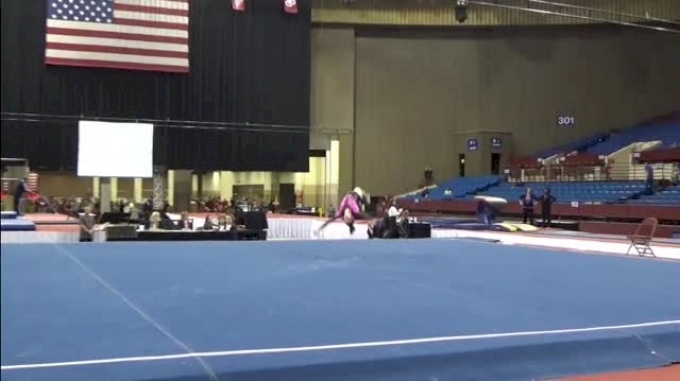 Her bar routine from the 2011 Metroplex Challenge wasn't her best, but it showed her potential on the event and demonstrates how far she's come in her gymnastics career. Now a senior at Oklahoma, Lehrmann has been an excellent competitor for the Sooners on all four events. She has a career high of 9.900 or higher on every event ― including a perfect 10.0 on bars ― and has done well in the all-around, with a career-high 39.675. This season, she's been nothing short of spectacular on the three events she's competed so far. She has yet to score below a 9.800 on vault, has scored only in the 9.900 range on bars and has only earned scores in the mid 9.800 to 9.900 range on beam. 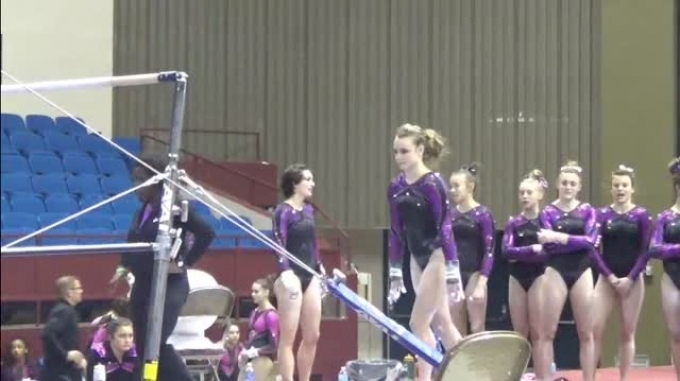 At the 2014 Metroplex Challenge, Lehrmann also displayed her great form on vault and bars, winning both events. Looking back at her 2014 bar routine, it's easy to see how she became a staple in the Sooners' bar lineup and a 2017 national co-champion on the event. Marks has been a great vaulter for the Sooners with a career high of 9.900. 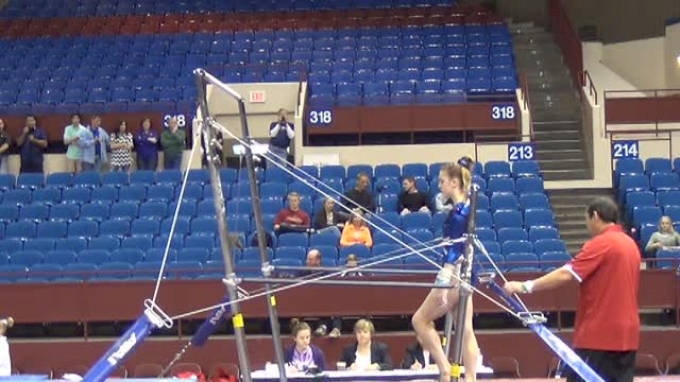 She's been able to showcase her power and control with her Yurchenko 1.5. Although she hasn't competed vault yet this season, she broke into the bars lineup and has been a great addition there, earning two 9.850s and a 9.875 so far. Marks has also made an appearance on floor for the Sooners during her freshman year. At her final Metroplex Challenge as a club gymnast, she won the floor title with a 9.450. In her floor routine, we can see the power and control in her tumbling that's made her a reliable vaulter for the Sooners as well as the clean form and long lines that have helped her score well on bars this season. Nicholson is a junior who has been a consistent competitor for the Tigers on floor. She first competed in 2018 during her sophomore year, debuting on floor with a 9.850, and later in the season, earned a career-high 9.900 on the apparatus. This season, she's continued to be a reliable floor worker and also broke into the beam lineup. In Mizzou's latest meet, Nicholson earned a 9.850 on floor. Even when Nicholson competed as a club gymnast at the Metroplex Challenge in 2014, she was a good floor competitor, earning a bronze-medal-winning 9.350 for her floor routine. Although her landings in 2014 weren't the cleanest or most controlled, her 2014 floor routine shows the solid foundation and skills that Nicholson's used to be able to make Mizzou's floor lineup two years in a row and earn a 9.900. Pennese has competed three times for the Arkansas Razorbacks so far, all on vault. She vaults only a Yurchenko full, so her scoring potential isn't as high as others in the SEC, but she has a pretty strong Yurchenko full that is a solid lead-off vault. Her scoring has been rather consistent, earning two 9.675s and one 9.750. At the 2018 Metroplex Challenge, Pennese had a pretty good Yurchenko full. She was clean in the air and got good height and distance but was rather piked on the landing. With more NCAA training and attention to detail, Pennese can improve her vault for her Razorback team and earn higher scores.